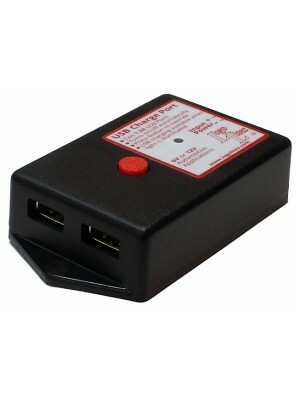 USB Charge Port- Works with 6 and 12 volt electical systems. Senses when the engine starts and turns on the power to your phone, tablet, GPS navigation system, or other USB powered devices. When the engine is shut off, it shuts down the charge ports automatically so it won’t drain your battery. Easy to install in just about any antique vehicle with two mounting screws and just two wires to connect to the electrical system. All wiring and directions included.